We've received many emails from readers asking for cookbook recommendations. We've put together some of our all-time favorites: cookbooks we come back to again and again, books we give away as gifts, books we'd buy over again if our copy got ruined, and if you looked at our bookshelves, the books with well-worn dog-earned, food splattered pages. Our opinions are our own and we have received nothing from the publishers. We've always loved Cuban food, and Obama’s new approach with Cuba prompted a flurry of Cuban cookbook reading in our household, with high hopes for someday getting to eat many of these mouthwatering dishes firsthand. 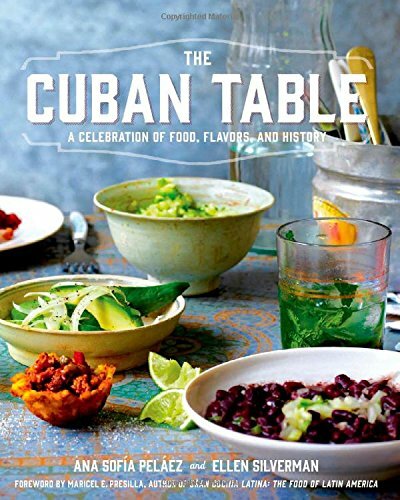 Of all the cookbooks we read, Cuban-American Ana Sofia Pelaez’s The Cuban Table stood out. The pictures are evocative and atmospheric; the recipes mouthwatering. This book will have you making travel plans before you make it to the desserts. Pelaez’s personal story is interwoven throughout the book with recipes sourced from home cooks. From both Cuban and Cuban-American perspectives, this book reads with authenticity and warmth, inspiring us to get in the kitchen and start cooking. Your grill is hot and you’ve got a perfect piece of meat or a juicy fresh veggie primed and ready. Marinades, Rubs, Brines, Cures and Glazes helped us figure out how to get the most out of this tantalizing combination of meat and heat. 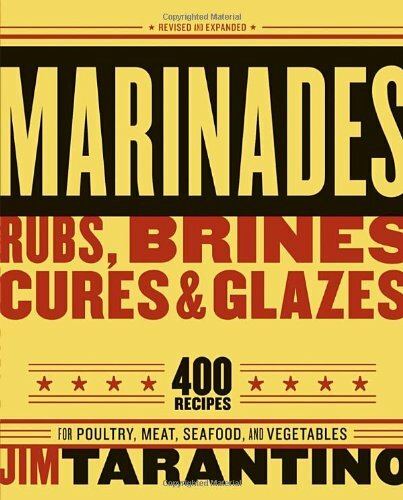 We divide our marinating techniques into ‘before-the-marinade-book’ and ‘after-the-marinade-book.’ Legendary griller Jim Tarantino took our protein preparations to a whole new level and we can’t recommend this book enough. It is an essential cookbook in our kitchen throughout the year, particularly during the warm months. Helpfully divided into 5 categories: Basic Recipes & Ingredient Themes; The American South & Southwest; Latin American & the Caribbean; The Mediterranean, Eastern Mediterranean, the Middle East & North African; and Asia. When you are looking for cooking inspiration, let’s face it, there’s almost nothing better than grilling with a beautiful homemade marinade. Harold McGee’s hefty food reference, On Food and Cooking: The Science and Lore of the Kitchen, is essential reading for the curious cook, the food blogger, the food nerd, the forager, the casual cook…basically everyone who wants to know more about their food. A veritable encyclopedia of food terms, names, and places, McGee allows us to appreciate the rich history behind the food we eat today. 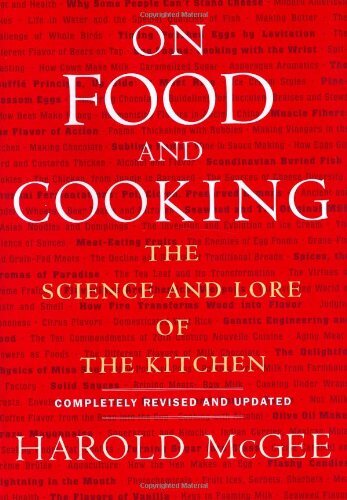 If you’ve ever wanted to know the science behind tempering chocolate, or the specific carbohydrates involved in succulent sweet corn, or any other of a thousand food factoids, this is the book for you. It’s a Paul favorite, and a well worn reference on our shelf. The field of cookbooks is bursting with desserts. We look for two things in a dessert cookbook: a confident baker with a fearless voice, and aspirational desserts that evoke a Pavlovian response. Ready for Dessert: My Best Recipes has both of these traits in spades. Lebovitz’s confident manner and friendly narrative are terrific. The first time we made one of Lebovitz’s desserts, it was all we can do to restrain ourselves from obsessively writing fan mail to this dessert maker extraordinaire. We quickly devoured…er…read, all of Lebovitz’s other cookbooks, and also follow his food blog for weekly inspiration. 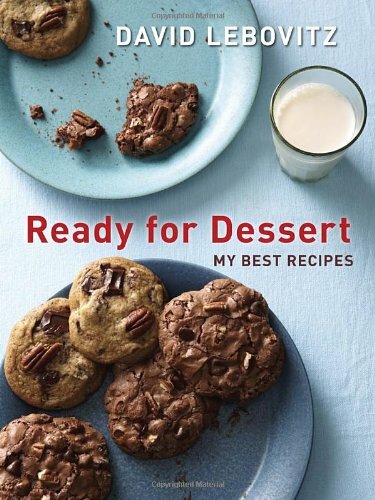 Ready for Dessert is a go to dessert cookbook for baking novices and artists alike. Simply in Season is a seasonal community cookbook with international flair. This cookbook has particular meaning to us since it includes dishes that our Mennonite grandmothers made growing up. 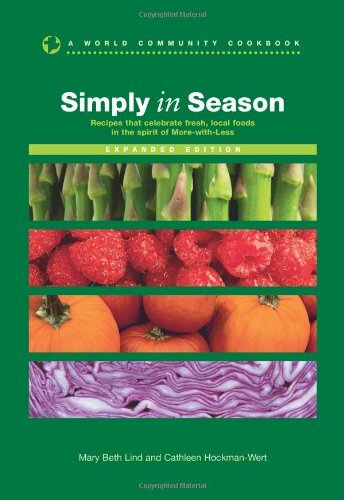 While there are nostalgic family dishes, we also appreciate the work the editors went to, to update and modernize this collection, helpfully dividing and color-coding recipes by season. This is a lovely cookbook for the seasonal, local cook or home gardener who appreciates the rich tradition of home cooks and their family recipes. And as an added benefit, the proceeds from the sale of this fabulous cookbook go to benefit Mennonite Central Committee and its relief, development, and peace work around the world. We have always known that the folks at King Arthur Flour have baking chops. We have their flour delivered to the house in 25 pound bags, and consider their recipes some of our favorite go-to classics. 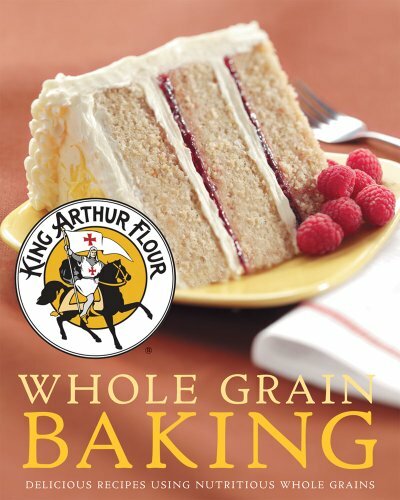 Whole Grain Baking shows off the King Arthur team's comfort, creativity and talent with whole grains. Based on the all-too-rare premise that whole grain foods should actually taste better than refined versions, this cookbook made whole grain baking our household standard. With the tips and recipes in this cookbook, you'll find yourself not just sneaking in whole grains to make things healthier, but letting the grains star. Beyond the Great Wall allows us to explore new foods and cultures. 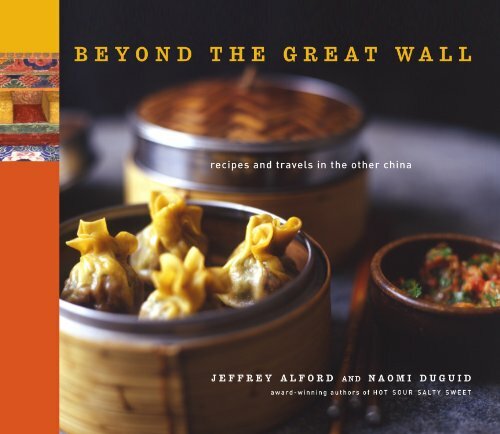 Equal parts travel diary, cookbook, and coffee table book, this cookbook highlights the foods and cultures of China's outlying regions, not captured in the usual ideas of "Chinese food." Full of evocative recipes, stories, and photos, this unconventional Chinese cookbook takes the road less travelled, avoiding the traditional dishes of Eastern China, and instead focusing on homey dishes from ethnic minority groups. Any cookbook featuring the writing and photographing team of Jeffrey Alford and Naomi Duguid is an automatic buy for us…we keep an entire shelf devoted to these authors. We love their passion for the people behind the food, and their ability to take us off the beaten track. In anticipation of a visit from our younger cousins, who eat gluten free, we bought The How Can It Be Gluten Free Cookbook. This cookbook of original recipes without gluten, is authored by the rock solid Cooks Illustrated operation. To be honest, we were skeptical of this cookbook when we bought it, but were pleasantly surprised by how often we turn to it, even without a specific gluten free recipe in mind. 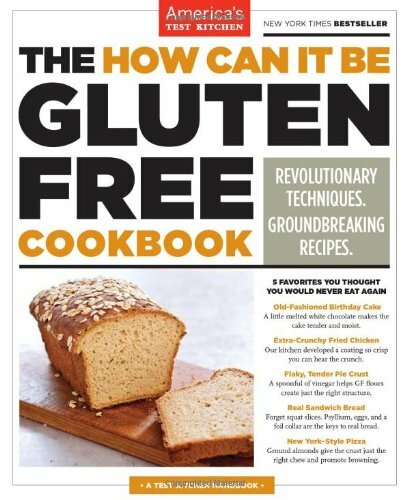 For gluten friend or foe, this cookbook has great adaptations and creative ideas to get you out of the pre-made, gluten-free rut. Once upon a time, in a burst of pie-induced-madness, we decided to devote an entire summer to the making and consumption of pie: making at least one pie a week. 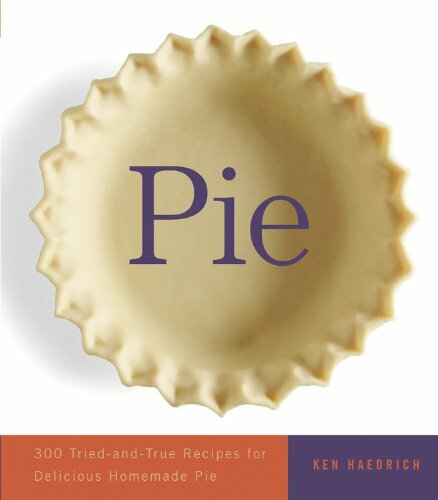 Pie: 300 Tried-and-True Recipe for Delicious Homemade Pie is to blame for this gluttonous plan, and is the reference cookbook that we turn to whenever we crave pie…in short, often! Of note: Our copy of Pie has puppy chew marks on some of the more well used recipe pages…our teething whippet puppy proved his good taste when in his third day in our house, he sniffed out the essence of butter and sugar in our well-worn copy and eagerly started to devour it! This book inspires a simple message: eat pie, love life! Our favorites: Watermelon Chiffon Pie, Blackberry Silk Pie, Maple Custard Pie, Pennsylvania Dutch Sour Cream Apple Pie, Coffee-Hazelnut Custard Pie, Graham crust...need we go on? 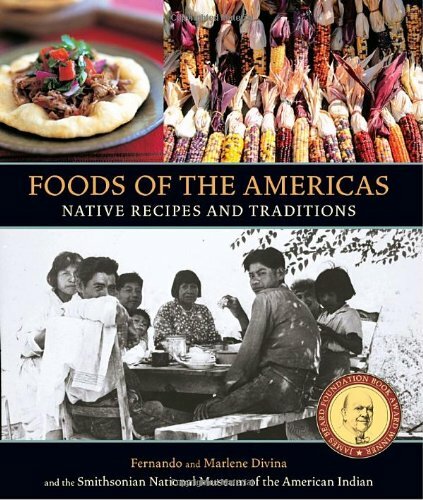 Foods of the Americas is an uncommon cookbook that celebrates the foods, recipes and culture of the indigenous peoples of North, Central and South America. Written by a husband and wife team, partnering with the Smithsonian National Museum of the American Indian, the authors tackle indigenous food traditions with context and authenticity. We have particularly delicious memories of our Thanksgiving meal last year which we cooked exclusively with recipes from this cookbook. Food of the Americas will appeal to cooks who are interested in learning about culture through food and who enjoy the challenge of finding and cooking with hard to source traditional ingredients like cattail flour, huckleberries, and Hawaiian seaweed. This cookbook has allowed us to try unexpected flavor combinations and techniques while also gaining a deeper appreciation for the cultural traditions of the Americas. What do you do with the odd knobby unidentified root vegetable that showed up in your CSA? 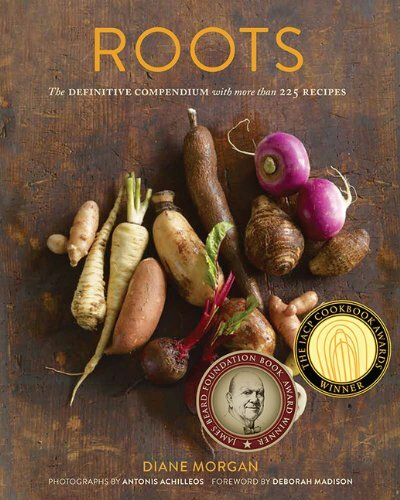 Diane Morgan's Roots is your irreplaceable guide to exploring and eating the wonderful world of root vegetables. For those of us living in northerly climes, mastering these hearty vegetables is critical to keeping seasonal cooking interesting during the cold months. From the creative (parsnip cake and carrot top pesto) to the practical (yams vs. sweet potato), this book is one we find ourselves coming back to again and again. 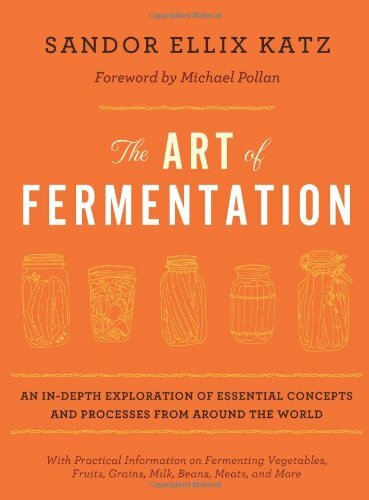 The Art of Fermentation by Sandor Katz is an easy to understand guide to all things fermented; from kimchi to yogurt, pickles to sauerkraut. If you are just curious about fermented foods, or interested in taking the plunge at home, this is the place to start. Focusing less on recipes and more on the science behind the process, Katz gives you the confidence to not only replicate the classics but to innovate and adapt these techniques to suit your palate. Gran Cocina Latina can only be described as epic. This 912 page tome of Latin American Cuisine is the culmination of Marciel Presilla’s 30 year culinary quest to catalog Latin American culture through food. 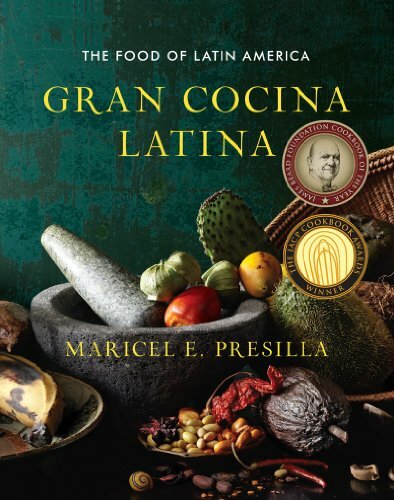 Presilla’s immersive cookbook benefits from the her personal background and professional expertise in the field of Latin American Cuisine; growing up in Cuba, her doctorate in cultural anthropology, and her current experience as a successful restaurant owner. If you find yourself fascinated by food etiology and history, this is a great cookbook for you. 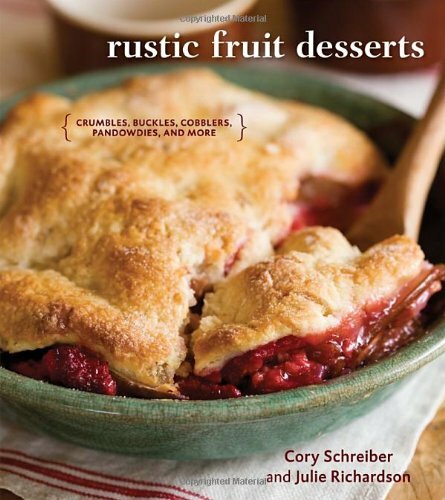 Rustic Fruit Desserts is a gourmet take on vintage Americana baking. This is a beautifully photographed dessert cookbook featuring remakes of old fashioned recipes for grunts, slumps, buckles, crisps, cobblers, galettes, Bettys and pandowdy’s, all helpfully organized into seasonal categories. The pictures are mouthwatering, the dessert names quaint. Honestly, every recipe we have made from this book has been a winner! Rustic Fruit Desserts has us excited about baking heritage desserts that veer off from mainstream baking. This is our most often gifted cookbook, a go to for both jaded and novice bakers alike. 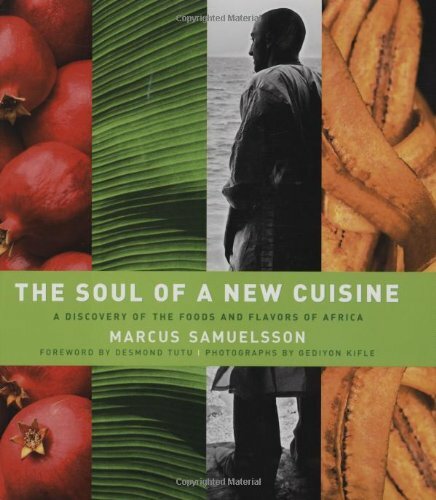 The Soul of a New Cuisine is both an interesting personal narrative and collection of African fusion recipes spanning the continent. We read along as Samuelsson explores his Ethiopian heritage through food. His Scandinavian culinary foundation brings a unique twist to his wide ranging palate. There are few cookbooks that really take an interest in African food, and this one does a lovely job of reinventing delicious flavor combinations in approachable ways. This book is a great way for creative cooks at all levels to try out new ingredients and sample the wide range of African cuisine. We initially wrote off Real Cajun, thinking the title was too corny. Don’t make the same mistake. After eating in two of the Chef Donald Links’ restaurants in New Orleans, we ordered this cookbook from our hotel and had it waiting on our doorstep the day we arrived home! 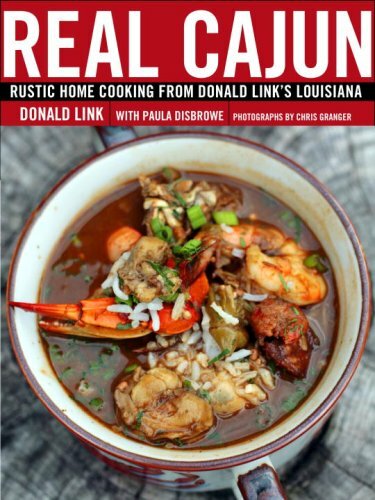 Great recipes for Cajun classics, lovely soulful narrative which compels you to try your hand at some of the dishes of Link’s childhood. 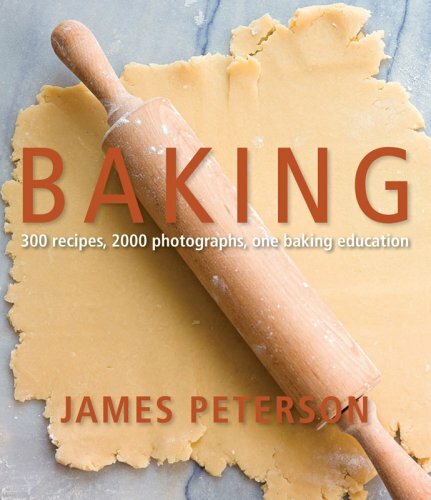 James Petersons’ Baking is a veritable bible in our household, a much worn and referenced book that has seen us successfully through many desserts. Anytime we are experimenting with a new dessert and can’t quite figure out how to make it work, inevitably one of us will sigh and say, “we need Peterson,” and order will be restored amidst the chaos. We haven’t yet met a Peterson recipe yet that did not turn out. Don’t let the forthright style and cover fool you, this cookbook would be at the top of our list for basic supplies on a desert island. 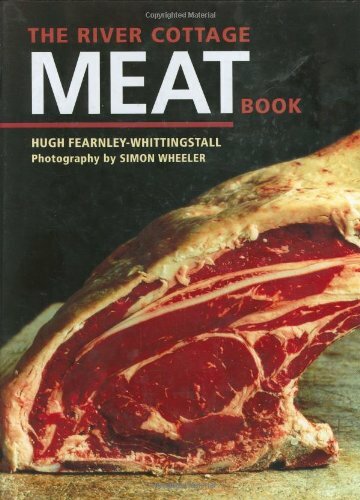 The River Cottage Meat Book is a classic Paul favorite, and one of the most worn books on our bookshelf. Hugh Fearnley-Whittingstall's approach blends reliable recipes and rustic photography with detailed discussions of why recipes are cooked the way they are and how you can successfully adapt these techniques. This excellent reference is our go to book when faced with an unusual request (old fashioned pork pie) or odd part (like the beef tongue that came in our CSA's meat share last week). Hugh Fearnley-Whittingstall is a natural teacher, and a passionate advocate for genuine nose-to-tail cooking. Allow us to be blunt. Our early marriage was a time of soup mediocrity. Boring, viscous, bland...there are so many soups can disappoint. We needed inspiration. James Peterson is one of our go to cookbook authors (we own 7). He is a masterful teacher, always reliable and oftentimes, a culinary genius. 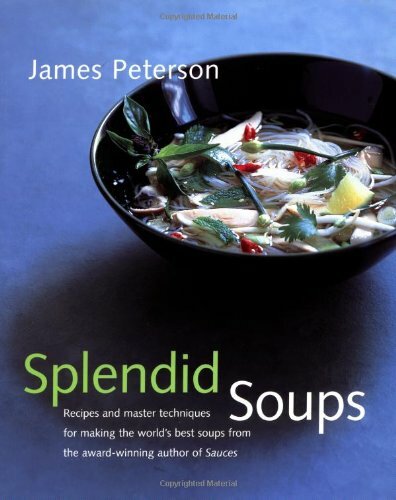 Splendid Soups is easy to follow with Peterson's warm voice guiding you through the process and helpfully offering suggestions and substitutions.